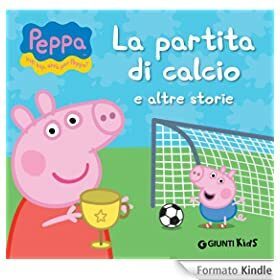 Micah (and all of Italy, it seems) has fallen in love with Peppa Pig, the four-year old heroine of five-minute long British cartoons dubbed brilliantly into Italian (sometimes they show the original English ones too, but they don’t sound as good). The original series ran in the U.K. from 2004-2012 in its home country. It’s about an anthropomorphic pig family and their friends and adventures, which is perfect for young kids. Every day after school Micah hurries to turn on the episodes, and he seems to have learned lots of Italian that way. The dialogue is simple (but not simplistic), and very clear, so even older learners can follow along easily. News-stands and bookstores are filled with merchandising — Peppa Pig storybooks, candies, figurines, sticker-books, magazines, etc. etc. One might really get sick of it all, except that the characters are just so darned cute. Simon’s favorite is Peppa’s little brother George, who can say only one word: “Dinosauro,” referring to his favorite toy, and he always growls after he says it. The episodes are also pretty funny. 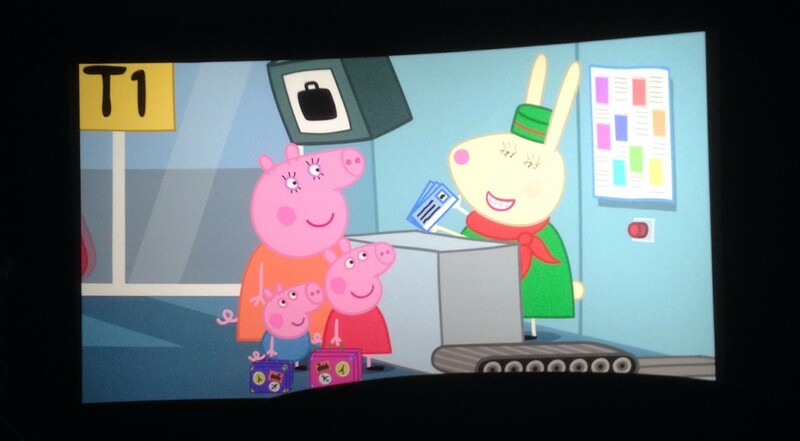 So it was big news when we saw, at the movie theater in Lecce a few weeks ago, that a Peppa Pig movie was coming out. Well, it was just ten not-yet-dubbed episodes strung together, but there was a vacation theme (the pig family travels from rainy England [not an exaggeration] to sunny Italy). They were expecting big crowds and so were selling tickets in advance. We decided — uncharacteristically — to gamble that seats were still available, and see if we could take Micah to a show after his soccer match on Saturday. But much as Micah enjoyed getting swarmed by his teammates, he didn’t even want to take his shin-guards off lest it delay getting to the movie theater, a complex with gigantic screens and 300 seats per hall. But as things are here, despite the start-time being published in the newspaper for 5:00 pm, and being listed for 5:20 at the theater when we arrived, we couldn’t even get admitted until 5:40. Too many eager bambini! Girls and boys like enjoy the show, and it seemed that many grandparents were accompanying them. 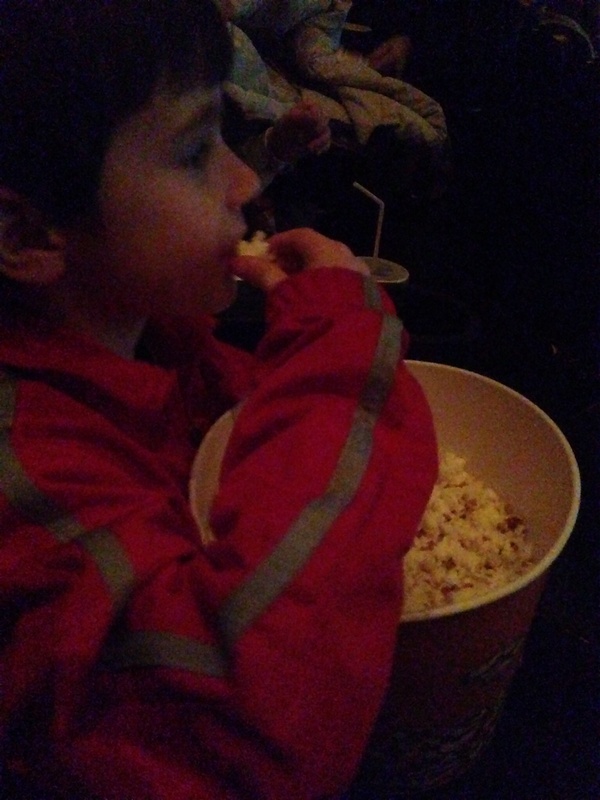 Naturally we got popcorn (we always do, and they have alarmingly-large tubs of it here, just like in the States, which Micah somehow manages to finish every time). He was wrapped up in the stories; I was laughing at the jokes I understood in Italian (the best of which was that PappinoPig tries to speak ‘Italian’ when his family arrives in Italy); that the voice actor could get that across (and make it funny) when of course the entire film had been dubbed into Italian was fantastic. They really are the best in the world here. 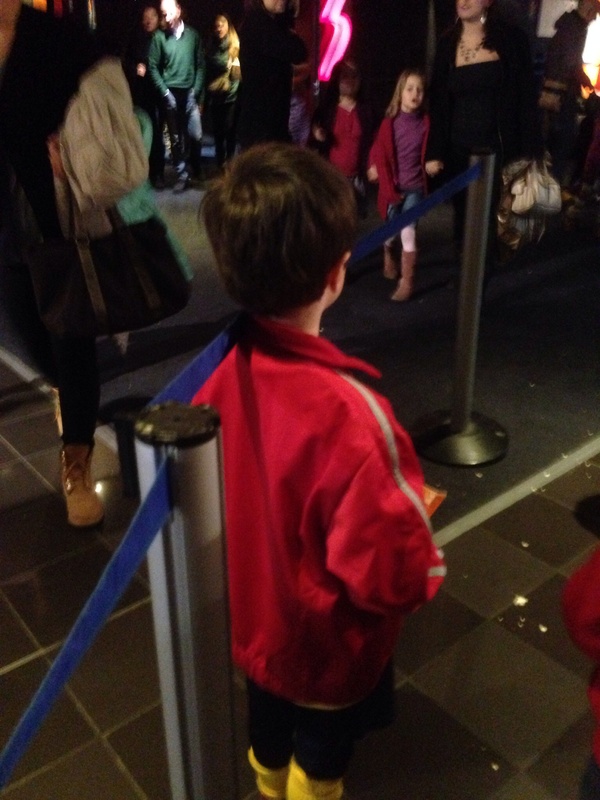 When we left the theater, and saw the next mass of eager kids pushing against the ropes to see the next showing, Micah immediately wanted to go back in and see it again. We are hoping they will release it on DVD; everything seems to just appear in small plastic packets at the news-stands, which somehow manage to have everything there is packed into their tiny stalls. It may help keep Micah speaking a bit when we return. That he now sings kids songs in Italian when we go on car trips is a good sign. 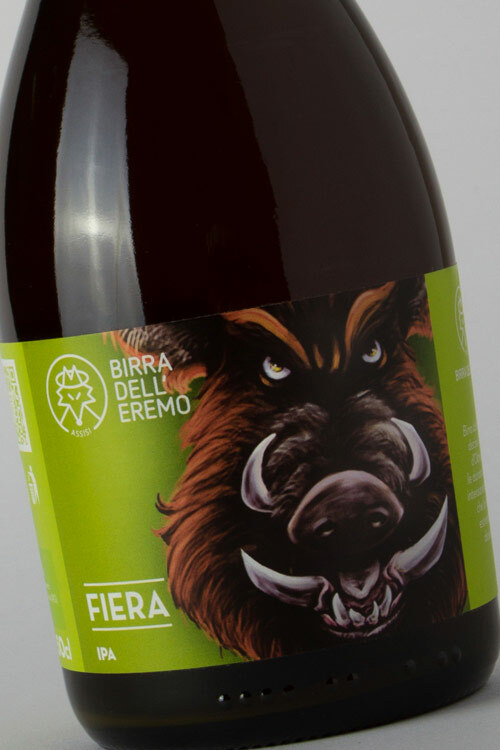 Pigs are a big deal in Umbria, whether they are domesticated (for guanciale, pancetta, etc.) or wild cinghiale (for stew and pasta-topping, and lots of signs, labels, and t-shirts). If you really want to know more about that (and why wouldn’t you), consult a Bio-Art exhibition in Liverpool from 2012, where the artists/scientists grew (bio-engineered) some soccer balls, and then played a match with old-style bladders stuffed with straw. The site offers some quite informative videos. As for Micah, he is just excited that tomorrow, new dubbed episodes of Peppa will be aired on RAI Yo-Yo. Oink oink!